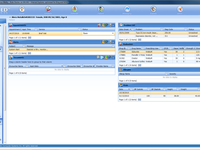 AccuMed's ONC, Stage 2 certified EHR solution offers Custom Templates, User Created Forms, eRx and eLabs. 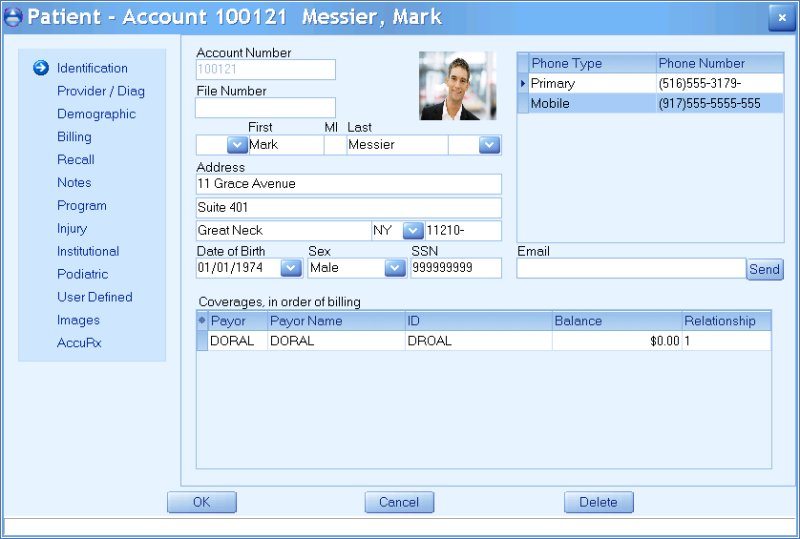 Using a single SQL Database you can choose to add the modules that make sense for your agency: Electronic Billing, Eligibility Verification, Scheduling, Auto Remittance Posting, Claim "Scrubber", Custom Reports, Appointment Reminder, Document Management. 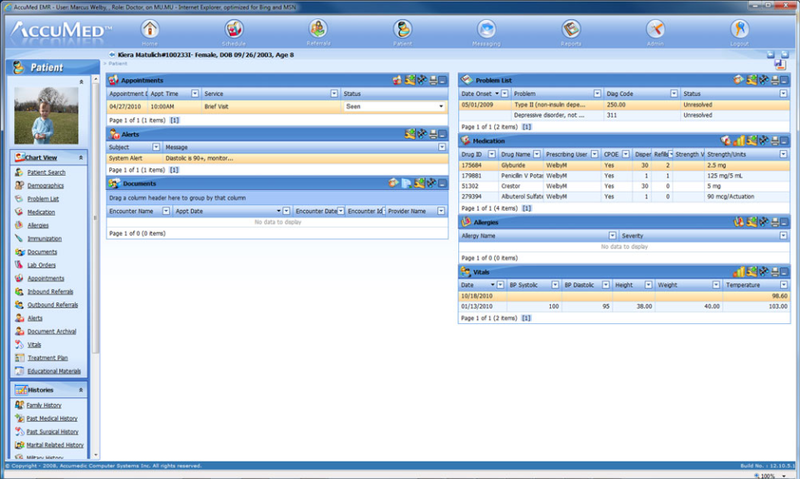 Accumedic supports connectivity with HIEs and Health Homes using HL7 and custom interfaces. Comments: Our behavioral health clinicians and directors can better track Treatment Plan timetable reviews and appreciate the customization features that are available to them as this creates efficiency in their individualized processes. The system allows increased documentation compliance and quality assurance oversight, ensuring billed claims are well documented. Questions and requests are answered by Accumed's skilled tech staff in prompt, comprehensive and courteous fashion. Our organization has been using the billing system for over 15 years and our staff have always had a very positive experience in having claims paid appropriately. Thankfully, these payments are posted automatically to the Accumed Account Receiveable which saves serious time. Converting to an electronic record-keeping system for clinical services. 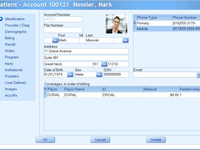 Comments: Pros - Already using the billing software so there is ease of use between the EMR and billing. Working with Max has been positive - usually very available and he is very patient as we have implemented the system. For someone who is technologically impaired, the logic of the software makes it easier to troubleshoot (although still need Max's help - he expects a call at least once a week). Con - We should have contracted for on-site training both for learning the system and for learning how to run reports. Still working on getting the e-prescribing in place. 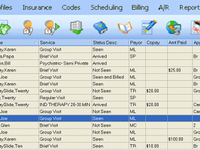 Ability to bill all our clinic programs accurately and electronically. Software is reliably kept up to date with all the state changes and requirements. Cons: Needs a wider variety of canned reports. Overall: I would highly recommend this software. Comments: Has it's glitches of freezing;updating our systems in seeking improvement on software functionality.